Dr. Dan Stuart is an orthodontist in Dartmouth, Nova Scotia, who specializes in creating beautiful smiles for all ages. He and his staff believe in treating patients exactly the way they would treat members of their own family: with kindness, care, and excellence in treatment results! 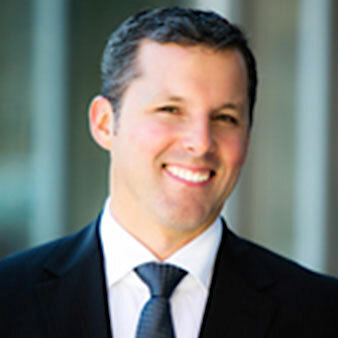 Dr. Stuart obtained his Doctorate of Dental Surgery from Dalhousie University and his Master of Science in orthodontics from the University of Manitoba, where he also completed a residency in orthodontics. He is a board-certified orthodontist and a fellow of the Royal College of Dentists. Prior to opening his orthodontic office, Dr. Stuart practiced dentistry for five years. He is a public lecturer and a published author. In the past, he has been recognized for his contributions to research and is a leader in technological innovation. Dr Stuart is the past president of the Society of Dental specialists of Nova Scotia and The Atlantic Orthodontist’s Association. He is also the Treasurer of the Northeastern Society (Northeastern US, Quebec, and Atlantic Canada). Dr. Stuart enjoys spending time with his family and friends. His interests include boating, golfing, and playing the guitar. He also loves to travel for lots of continuing education to offer the very latest and best treatments available in the world.